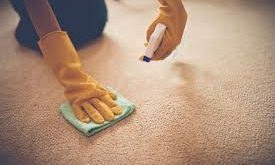 Sometimes it happens that you want to clean a coat, a blanket or carpet stains but you fail, regardless of the efforts. In the old days, there weren’t a lot of cleaning and disinfectant products like today, hence our grandparents used only natural remedies based on what they had in their pantry. Ironically, they were more effective for removing stubborn stains that some products today. Some of them you’ve heard. Put them into practice now and successfully remove stubborn stains! Grease, coffee, wine, pix, juice, rust stubborn stains, or who knows what other dirty stains give you headaches? Some can be removed if you act quickly. Washing helps, but it will not remove a dry coffee stain. 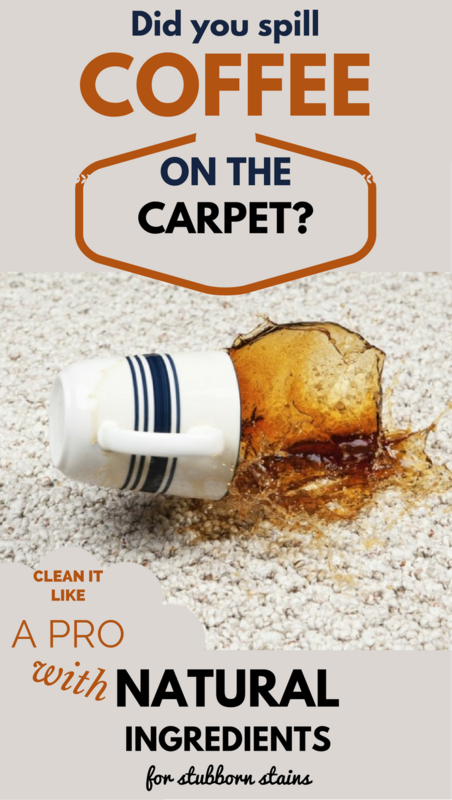 With a little help, for example, salt, vinegar and lemon can get rid of unsightly stains on textiles and more. Do you have a wound that bled on your carpet? A few drops of vinegar will save you from trouble. Pour a little vinegar on the stained place and leave the liquid to act for about ten minutes, then wipe with a towel. If necessary, repeat the process. It’s very important to rush when you have a blood stain, because it can only be removed when it’s fresh. You can use vinegar when you have to clean stains of tea and coffee too. All you have to do is soak the dirty area in a solution of vinegar diluted with water and then leave it to dry. 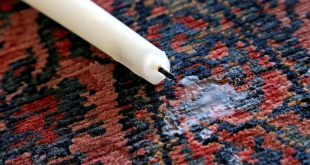 Did wax fall on your favorite carpet? You can remove it using your ice cubes. Put a piece in place with wax and press it until it cools and hardens the wax. For a complete removal use a knife. 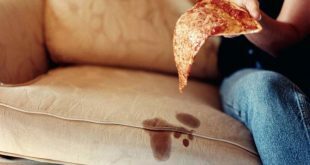 If you have left a few scraps, take a thick cardboard or a piece of paper, put it on the stain, and then iron the wax stain instead. This will melt the wax and it will stick to the cardboard. Proceed in the same manner with chewing gum. Lemon juice can compete with an expensive disinfectant. I think this is an excellent natural remedy because of the results we have with lemon juice when it comes to nasty mold stains removal. Mix lemon juice with salt and apply to the stain, let it dry and then rinse the dirty area. Stains on light-colored fabrics can also be cleaned with lemon juice. It has happened to pour glass of wine and spill some on the carpet? To prevent the expansion of the stain, put salt on the stain. It can absorb the liquid fabric if you move quickly. It also helps you lose salt and oil stains. It has almost the same effect as the salt and it can be used in grease stains on difficult textiles and more. Talcum powder absorbs the grease particles. Did you know that these stains can be removed with toothpaste? Apply the paste on the stain and rub a little easier, then let it dry and wash routinely the fabric with detergent and water. 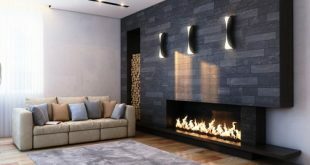 Another trick that effectively removes oil consists of dissolving three tablespoons of salt and three tablespoons of ammonia, which diluted in a glass of warm water. Apply this mixture on the stain and rub well, then rinse with water. You know how difficult is to remove coffee stains. I have good news. Leave the area soaked for an hour in salted water and then rinse stained material with plenty of cold water. You can also use a cloth soaked in mineral water, which remove soiled place until the stain disappears.